Our entry for this week’s “Summer Lovin'” photo challenge is a photo taken last Saturday for a post we were going to title “The Romance of Flowers.” There were a few folks on the same wavelength this week, including the Ladybugs entry from The Changing Palette (see link below). 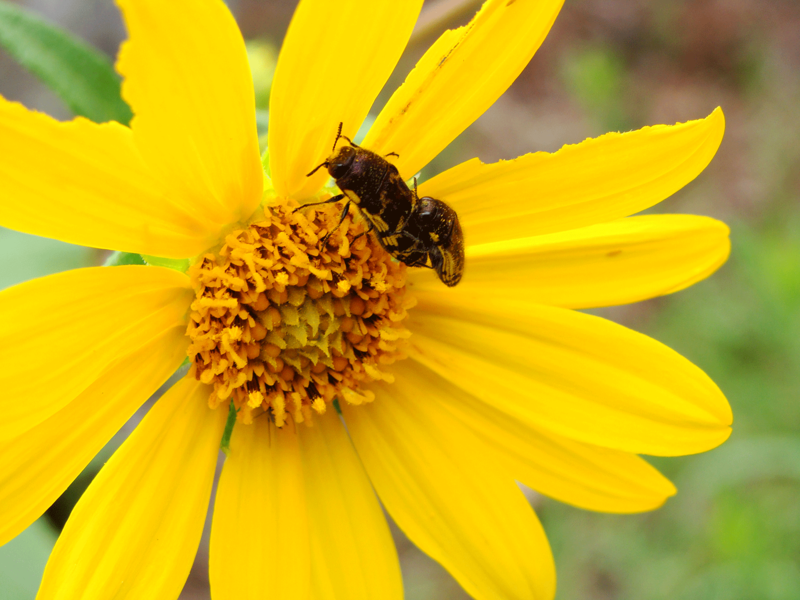 IT TAKES TWO — To pollinate. ZZZZZZZZ. 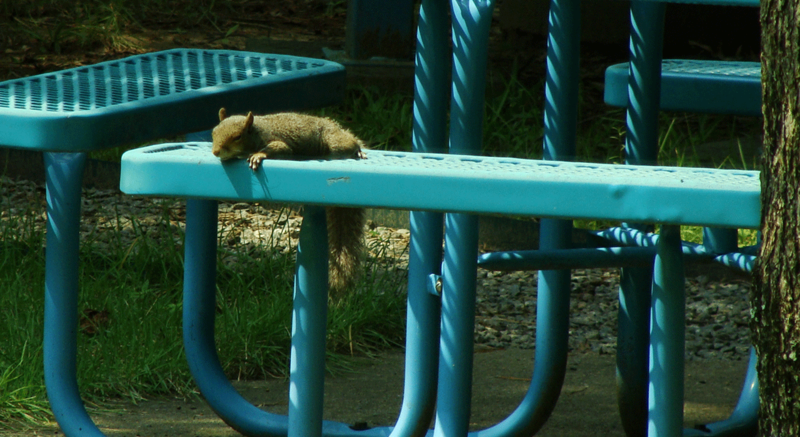 Squirrel catches some shuteye on one of the benches in the office courtyard. Sometimes, the side facing away from the sun presents a better view. 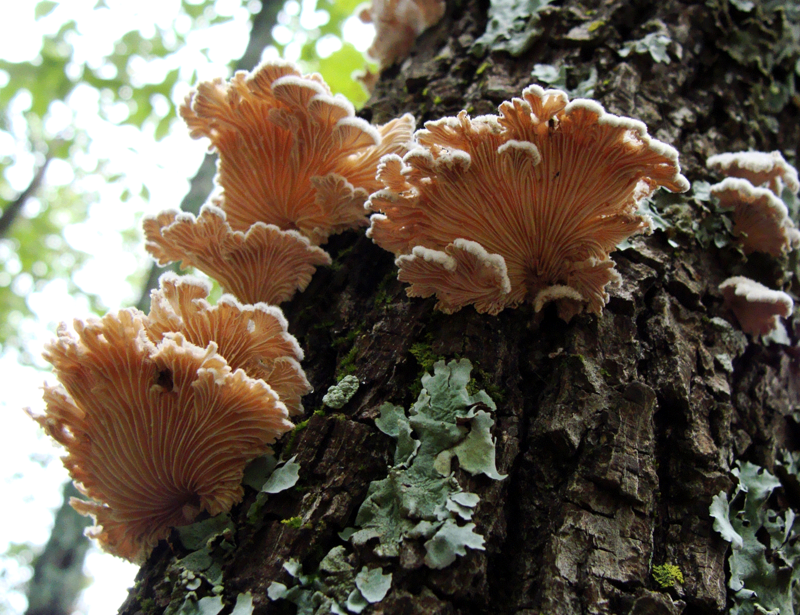 These fungi, a rather nondescript white on the top, were quite elaborate underneath. Gazing up the trunk of this tree, the beautiful and distinct rills and curves reminded me of the elaborate scrolls of a Corinthian column capital. 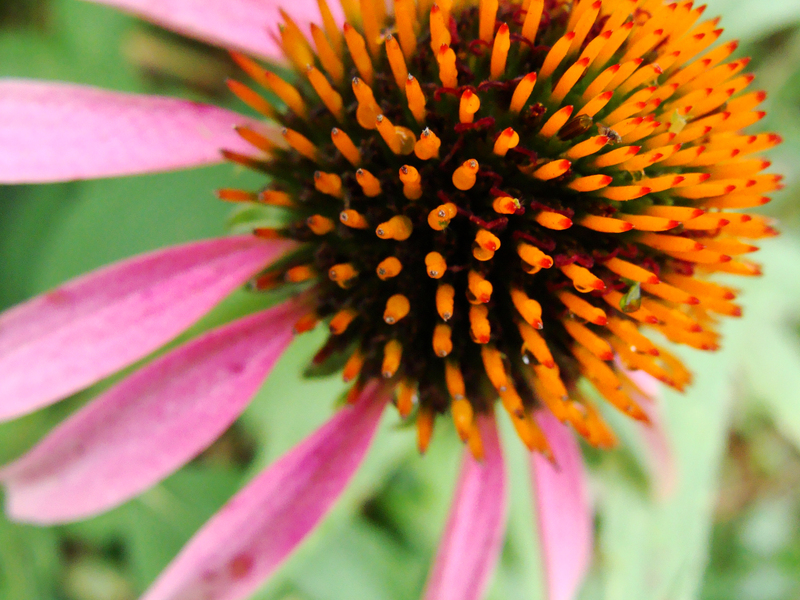 A burst of coneflower color on a bright overcast day. BOOM! — Coneflower gives a burst of color on an overcast day. “Containers” is the theme of this week’s WordPress photo challenge. Pondered on this for a few hours before realizing that containers can be broader than simply a can or a pot. Each droplet was a container of sort — each held a micro image of the world around it. 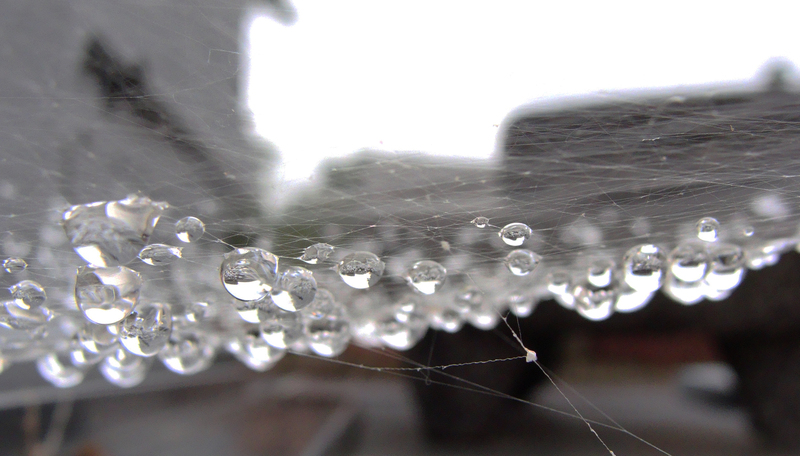 SUSPENDED – Droplets in a spiderweb. This week’s photo challenge theme is relic. 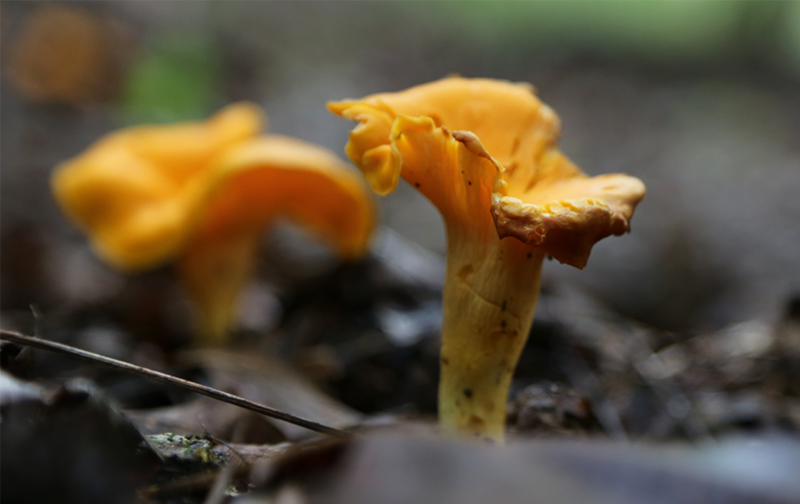 Our relic is a pine tree, giving life to fungi. 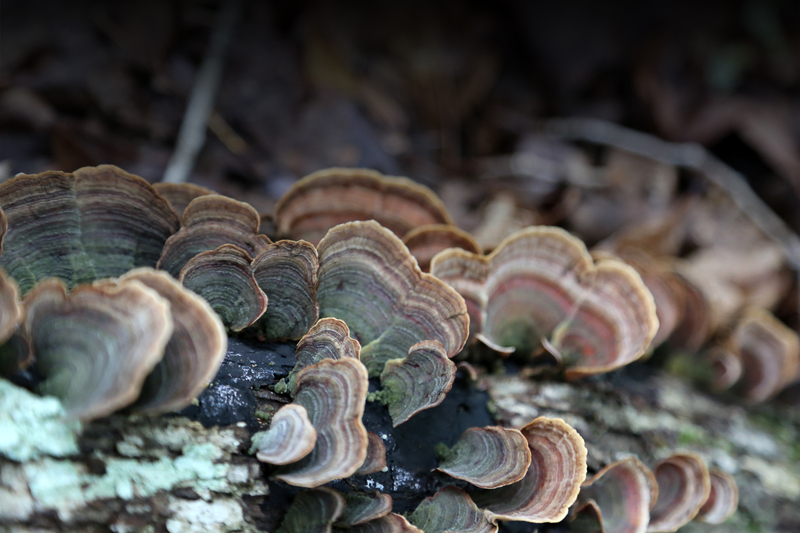 RELIC — Fungi cover the remains of a pine tree. 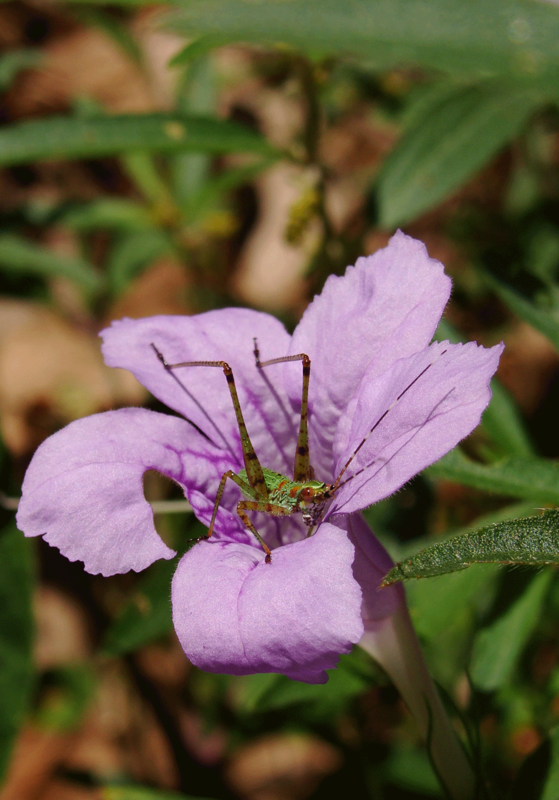 Grasshopper rests on a hairy wild petunia. 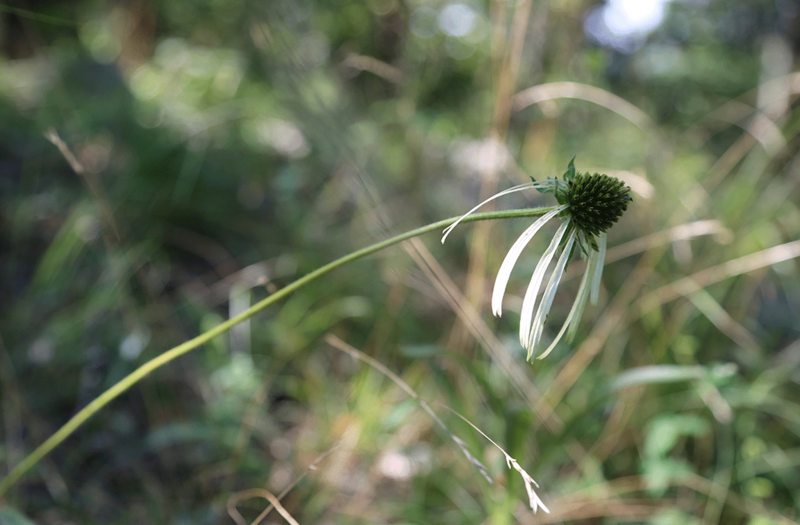 In contrast to the rich summer colors of the other wildflowers and plants in the Ouachita woods, this pale coneflower and the surrounding grass looked like an exercise in color desaturation. Arkansas has had an abundance of rain over the last two weeks. 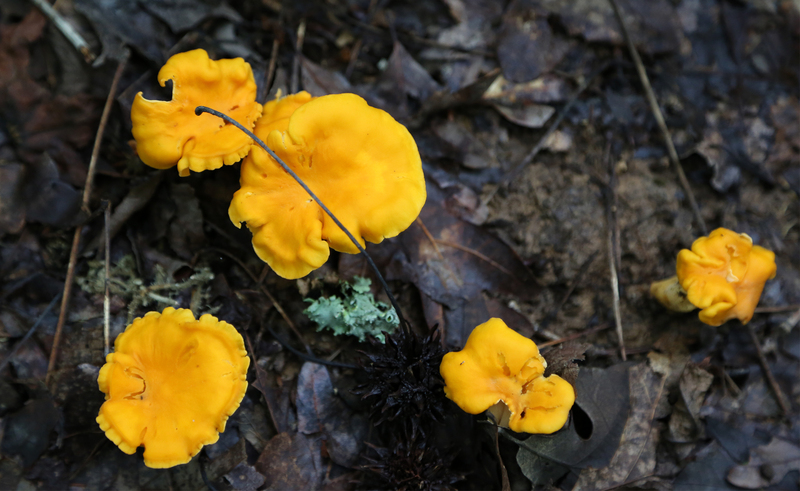 The drab grays and browns of Ouachita forest floor came to life with the shocking saffron of hundreds of chanterelles. Busy bumble working in the sumac. 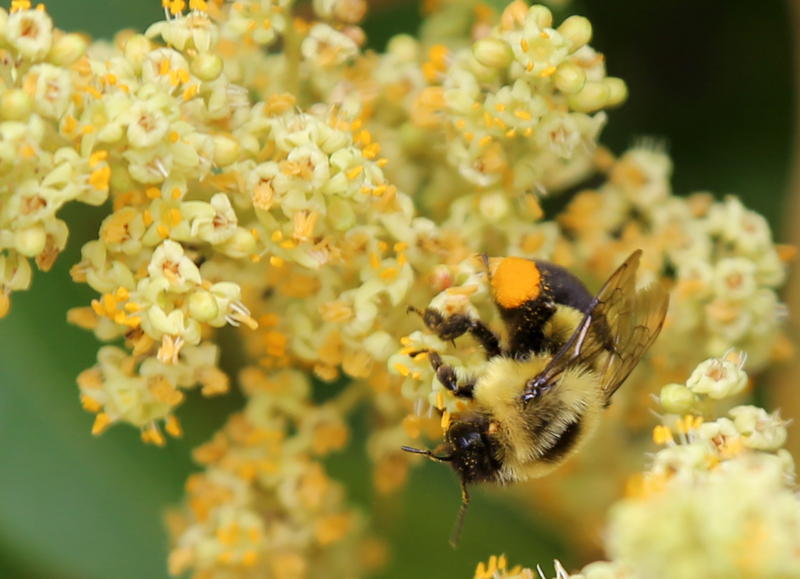 UPSIDE DOWN — Bumble’s work shows in his pollen-covered booty.